To download--when file opens click save as--choose save in Desktop-- with the same file name. On your desktop you can find it really fast so you can edit it later. Tell your friends about these free resumes and where you found them, help them out too. These are the 3 resume formats used most often when creating your resume. I like the look to it. They all have a look of professionalism, but they don't over due in their own design. The information just stands out, so the hiring manager won't have to search for it. When you glance at it the first time, your qualifications seem to pop right out. 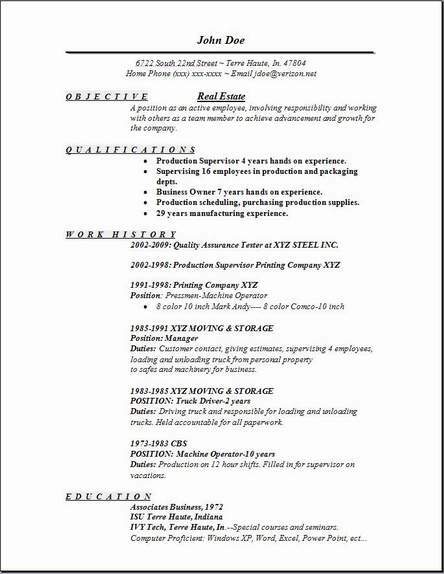 After all, that's what you are here for, once you edit this resume with your own information, your job will be complete. 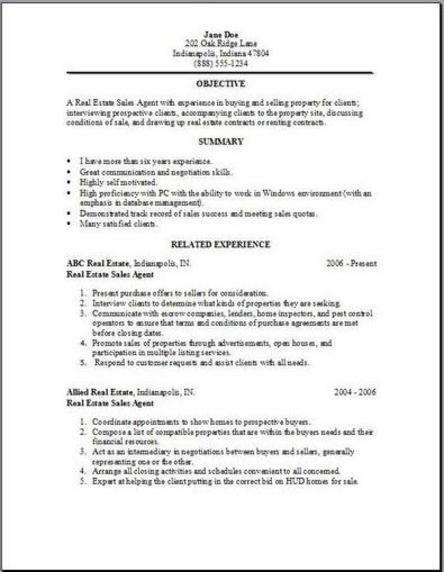 I hope you will find these free real estate resume useful. Good luck on getting the job you are after. Please let your friends know about this website, also visit some of the other pages. The purpose of the real estate agent position is to list all properties and increase the firm's inventory. Also the real estate agents will need to sell their own properties -- primarily the agency they work for, and second, other real estate firms' inventory. Finally, the real estate agent should work in harmony with the existing real estate agents so they can increase the business opportunities for all who work in the office. 1. Your attendance at all Sales Meetings and Listings. 2. Your absolute honesty and adherence to the Code of Ethics of the National Association of REALTORS. 3. Determined, reliable, and professional, to Clients and customers. 4. Availability to clients and customers that means (beyond normal business hours if necessary. 5. You need to maintain sales results to allow the company you work for to generate a reasonable profit. 6. Following your apprenticeship, this is usually a minimum of 15 closings per year. 7. Hold Sunday Open Houses for your listings. 8. Attend all of your Closings. 9. Telemarketing as allowed by law, sending e-mails to your customers about properties for sale. A real estate agent will often be working a lot more hours during the week than the regular 40, even working evenings plus the weekends for their clients convenience. Even though the hours can be very long most agents have the ability and freedom to create their own work schedule. All agents need to be a high school graduate. A large group of agents, do have some form of college training. In all states, real estate sales agents licensing is mandatory. Written examinations need to be passed by all of the agents. Most States will require that all candidates that want a general real estate sales license, complete anywhere from 30 to 90 hours participation in classroom instruction. State licenses most often need renewed on a 1 or 2 year basis. Prospective agents need to contact the nearest real estate licensing commission in the particular State where they want to work, and verify those licensing requirements that they must have. 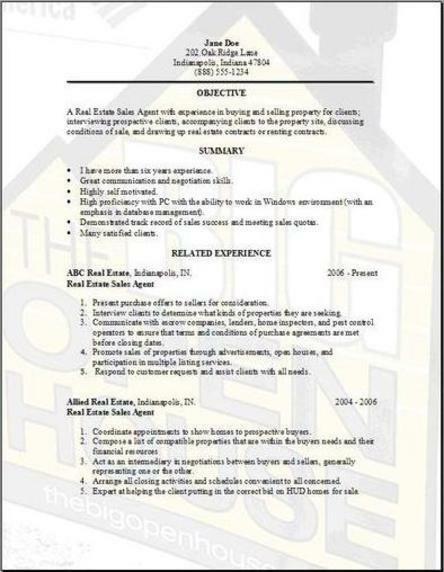 Get your real estate resume ready, as this position is marked to increase by 16% in the next 10 years.